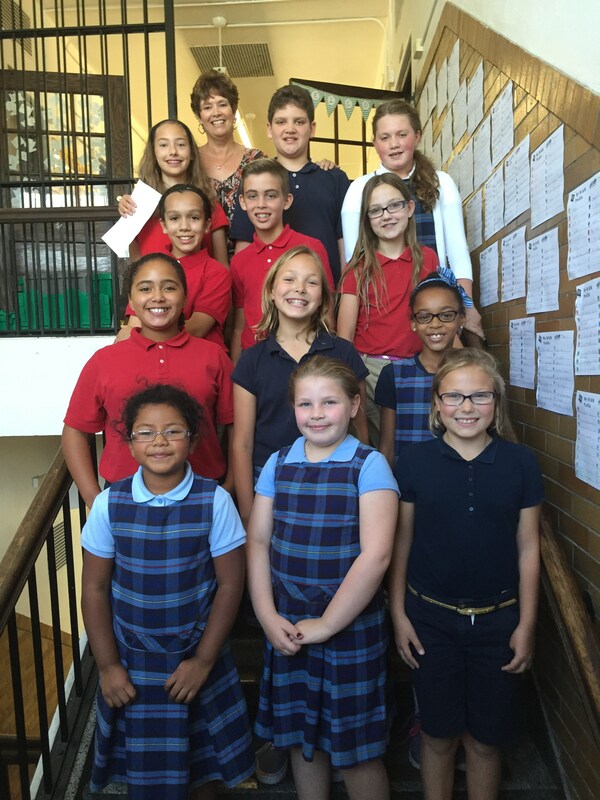 The Fine Arts Program at St. Paul the Apostle Catholic School supports several departments within the school, namely vocal and instrumental music, art, and the 5-8th grade musical production. We are proud to support our fine arts department within the school, knowing that exposure to the arts enhances a student's learning and opportunities for personal achievement. The Fine Arts Program works with the Band Boosters, a separate organization that includes the parents of students participating in band. Financial support for Fine Arts and Humanities is provided beginning the 2017-18 school year through the Home and School Association Parent Participation Program. The funds raised support the development of current Fine Arts activities and ensure the future of these programs for your children. All students in Kindergarten through 6th grade participate twice a week in a general music class, which includes the areas of vocal music, theory and appreciation. Students in our Junior High have 3 music options. They may choose one or all of the options. Students in grades 5-8 may participate in our band program. Students who choose our band program participate in both group band and private/small group lessons. We also offer Jazz Band as an extra-curricular opportunity. All students K-8 participate in an art class twice a week. The art classes provide instruction in various mediums and as well as developing the students' knowledge of art history and appreciation. Each year an all school Art Show is held in Denning Hall showcasing student work.